Optional Size, Adjust to Your Most Fit - SIZE ONE fit pants size 22"-34"; SIZE TWO fit pants size 32"-46", you can adjust to any your liking size. 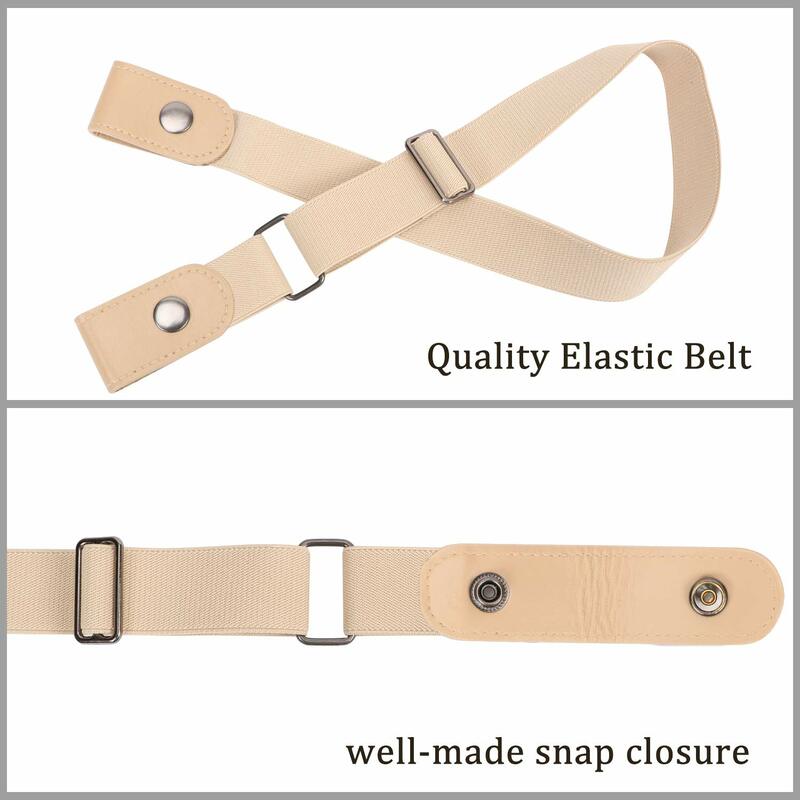 Belt width fit for most pants loops(elastic part 30mm, leather end 38mm). 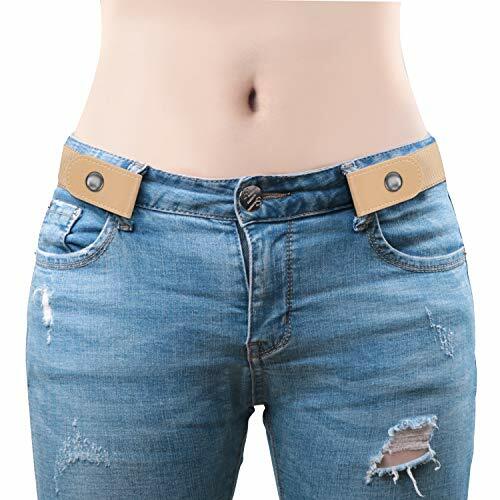 Under the modern fast-paced lifestyle, people want everything quick and easy.While this buckle-less belt solve the buckle problem well.In the busy morning, or when come home and want to jump into sweat pants asap, or every time use the bathroom.You do need several minutes to unlock the buckle to release belt.With this belt, just snap on once, and forget you're wearing a belt ALL DAY. 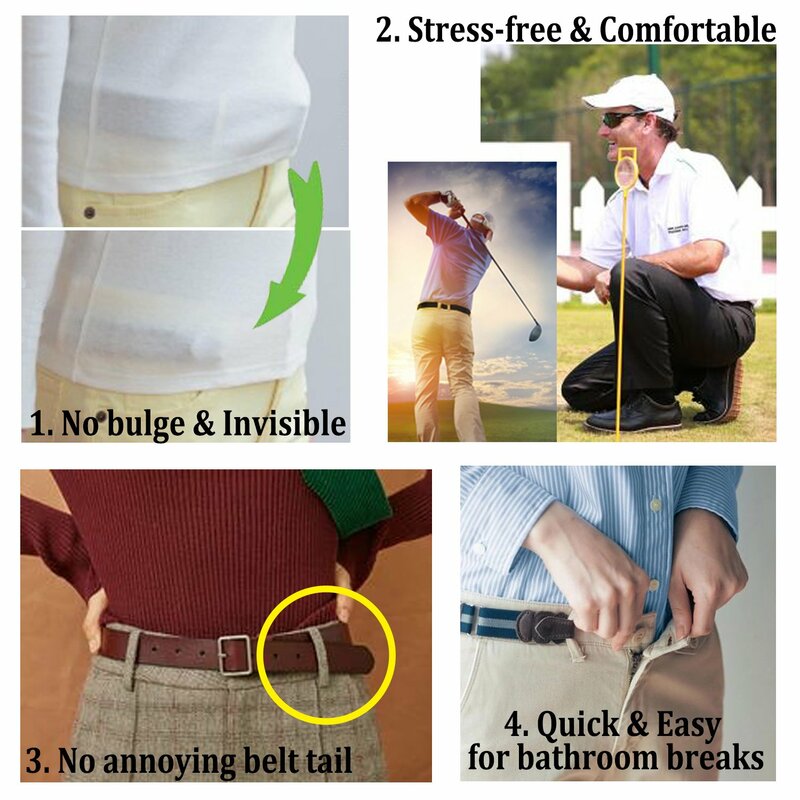 Never hassle with your belt anymore. MAKE LIFE EASIER! 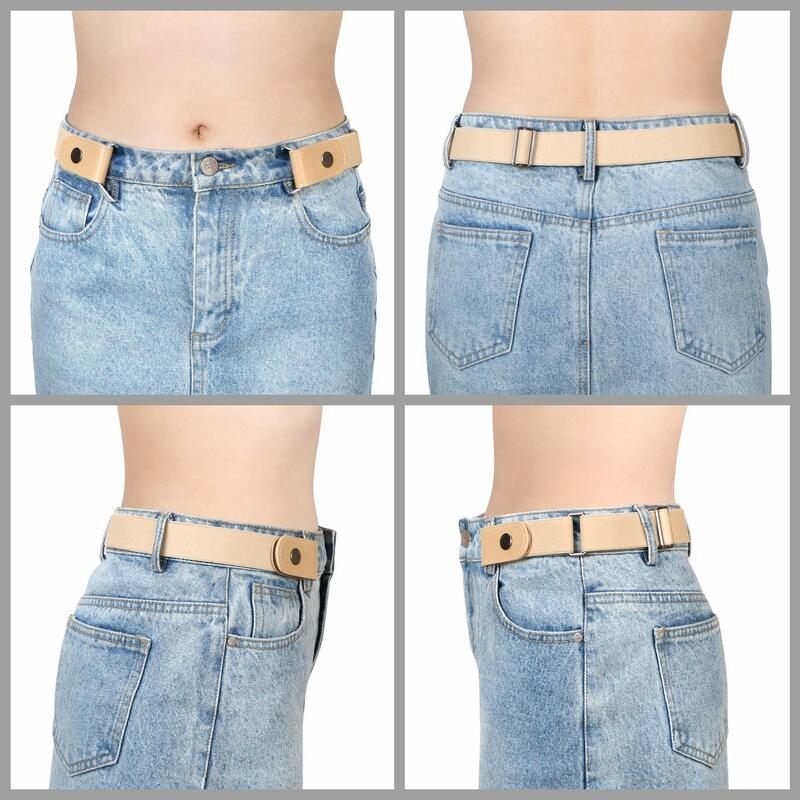 -What are the advantages of the elastic belt for jeans? 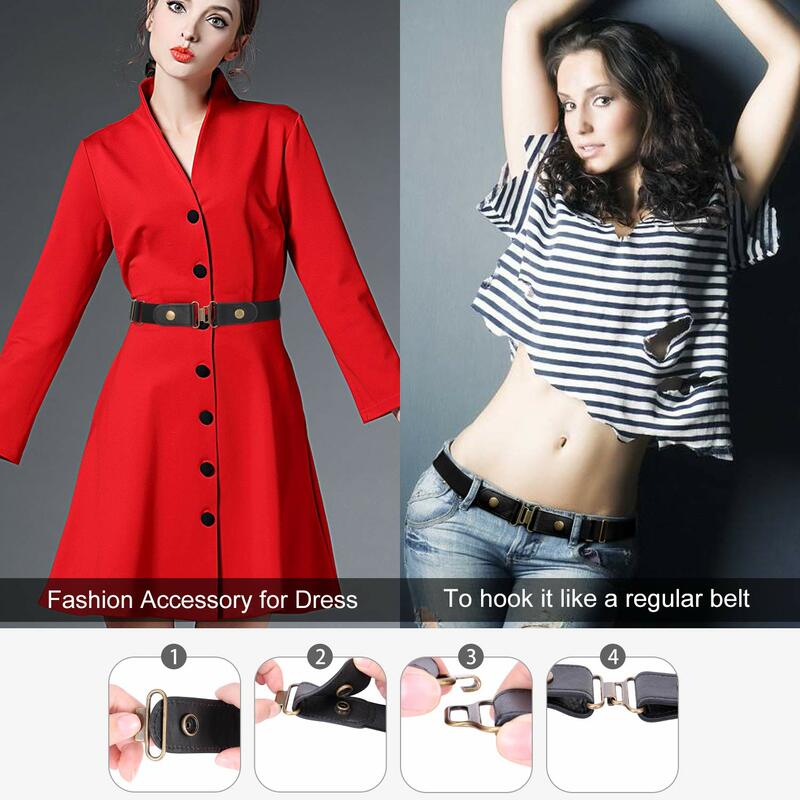 -Who can wear this invisible belt? No matter who you are, no matter what style outfit you choose to wear, this invisible belt will always be easy, comfortable, and fit properly. 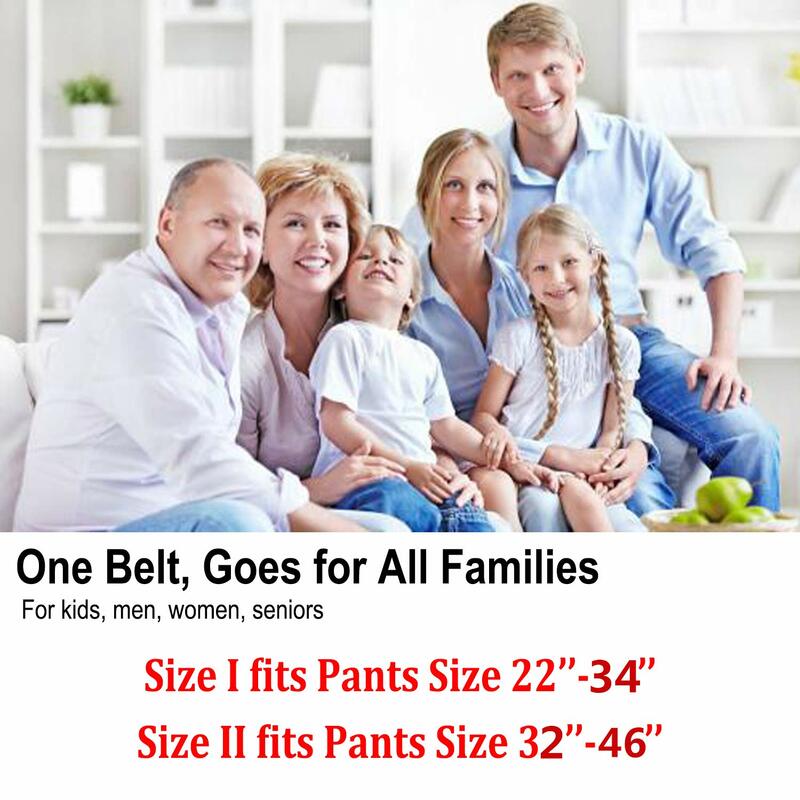 For kids from potty-training to school; For seniors who may find belt buckles cumbersome; For anyone who wants to keep their pants up, while looking sleek without the lumps and bumps; For maternity and weight change; For those with special needs and to be more independent.Make dressing hassle-free for the whole family!